It is not a quote for the book of Genesis and it is not some sort of weird eBook pitch... "sighs of relief", all around. Wednesday at 1:14 is the start of something new. New for me, new for you and new for this space. Many of my regular readers know I have been part of the meteroic rise to stardom of one very interesting fellow known to many as ColderICE. John is a Platinum Powerseller on eBay and also has his own website at 3rd Power Outlet http://www.3rdPowerOutlet.com. He brought hip hop merchandise to eBay and has had great success with this very finely crafted niche market. John is a pillar of the PESA community and he has brought a fresh new look to both eBay and eCommerce. John gained a greater audience, or dare I say his very first national audience through my insistence that he guest post here on the Trading Assistant Journal. You can review his guest post writings and other mentions on this site here. John has since started his own eCommerce blog or videoblog and named it ColderICE. He seems to be more comfortable in front of the video camera than at a keyboard and I am less excited about doing video blogs than writing. We have remained steady friends since the day we met thanks to Scot Wingo and his Channel Advisor Catalyst conference. Some may be surprised at John and I being friends if they had followed our political battle on Twitter over the last several months. Yet, we never have let the politics cloud our respect for one another, even in the heat of battle. John and I are very different people, yet we have a great deal in common. We each come from very different backgrounds and may have never met if it were not for a common interest. That interest is making money on the Internet. Our friendship is based upon more than this one thing however. John Lawson and I are each very interested in, and good at, looking at the big picture when it come to the overall business of selling online. More importantly, we each, in our own way, have found ways to share what we think is important information with the world through blogs and videos. We get a lot of fulfillment from helping people to understand what we wish we had understood when we each started. On Wednesday - This Wednesday November 11,2008 @ precisely 1:14 Eastern Standard Time a new Internet talk show and podcast will be born. The idea is simple, No BS eCommerce, eBay and eBusiness. We won't be selling and DVD sets and we won't be pulling any punches when it comes to sharing our opinions about anything to do with the industry. We know that as co-hosts we will not always agree on every subject but this is also what we think will make us unique. The show is scheduled to air on Talkshoe every Wednesday @ 1:14 in the afternoon. Why 1:14? I will let John tell you that... but it has it's own significance. The website will have a email form available for all of you to send us your questions, topic suggestions, or other interesting and useful information. The show will only be on for 1/2 hour per week so we will not get to everyone's questions, but be assured... if its a good one, we will discuss it live. Why "Agents of Revenue" as a name? We just kinda landed there while discussing the concept of the show. We want to impart information which will help people produce what really counts, and that's real honest cold hard cash - or positive revenue. We also want to enforce a no BS atmosphere and be matter of fact about what it takes to become revenue positive in eBusiness. Part of the show may be dedicated to John and I duking it out in a point counter point style on some subjects but overall we just want to bring a fresh, no nonsense perspective to the space. The fedora hats are a Blues Brothers or Elliott Ness reference, they signify our goal of being straight shooters and honest advisors. OK the Blues Brothers were neither, but they were very cool... they wanted to help the Sister, and they were ultimately very good at what they did for a living. Is intended to be a bit of an eCommerce Reality Check. I have to agree with most of your points Scott, but I do take exception to the ‘eBay owes you nothing’ claim. Any merchant (and eBay is selling a service here) that takes your money (list fees) owes you the service they agreed to provide. You can argue that eBay’s only agreement is to provide a place to host your listings… but that ignores the fact that eBay is no longer just a passive venue and is in fact becoming more and more ‘involved’ in it’s sellers businesses. When a ‘venue’ can dictate what you can or cannot list (when did the government pass that baton to eBay? ), and then dictate what forms of payment you can accept (when did good old US dollars stop being “legal tender for all debts, public and private”? ), and can, and DOES, dictate the amount of exposure to traffic that you receive (even tho you pay the same fees for this service as everyone else)… that’s no longer ‘just a venue’. And are they really providing the services paid for? Perhaps it is eBay who are not taking responsibility for the future of their business, chasing the almighty quarterly earnings rather than building a sound foundation for generations of growth. Or did that change with the advent of the Internet as well? I must be missing a whole lotta memos! Overall - a great article, and much in line with my own thinking. I just think eBay needs to ‘fess up and admit that there’s too much ‘disruption’ and not enough ‘innovation’ going on these days. First, let me say thank you for your comment(s)! Your points are also well expressed and quite valid. My point was not to argue the merits of the eBay changes and how they have affected sellers large and small. This has been done here and elsewhere at great lengths. It's up to you who you do business with. If you do not feel as though your getting what you have paid for, and some would argue that the eBay seller agreement has become so convoluted that no one really knows what they are paying for, then stop paying and move on. Divert some of the energy and revenue towards another endeavor which will be more productive for you and your business. If that is another selling venue - OK, if it is your own eCommerce website - Great! The time and effort we have all spent worrying about how or why eBay has changed the way it operates and then lamenting and demanding that they change to accommodate us... has all been wasted. eBay will not alter the course they have set for themselves no matter what we on the outside think of that course. Set your own course... find a new way. Step back and evaluate the situation without the eBay blinders on. Make decisions based on your future. Invest in your business, not eBay's business. Unless eBay is helping your business it is not an investment, it is a loss. 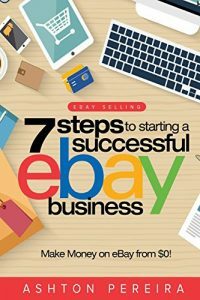 If eBay is helping your business, as it has many, it is worth the investment but you must balance your exposure and weigh that against the actual gain derived from selling on the "venue". I have spent untold thousands of dollars per month on eBay fees in the past. This was a decision I made and went along with because I was on the eBay bandwagon thinking there was no other way. I am no longer paying eBay fees in that stratosphere. It just stopped paying off for me. I changed my business but I still sell on eBay. It is not an all or nothing proposition. There are other ways, other opportunities, new courses to set. 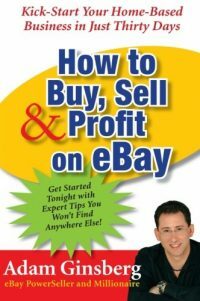 You can run a business less on eBay than on your own determination. Invest in yourself. Once again, I am not advocating walking away from eBay just for the sake of "I'll show you"... 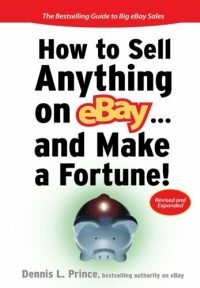 If your making money on eBay - STAY ON EBAY. I will also not spend any time defending eBay's new direction. But I know that direction is in motion and the momentum has already begun to take eBay on a path away from the average small business seller. This is nothing any one of us can alter. All we can do is change ourselves. Either change your business to fit into eBays new direction, or start finding a new way to do business. It is as simple as that. eBay sets its own rules. I set mine - you should do the same. As far as the eBay thing goes, I agree with the commenter that we are paying fees, and should know what we are getting for those fees in return. It’s rather murky right now for a lot of us exactly what we are paying for! eBay is shaky enough now that any time or money you spend on researching other venues or setting up your own site is worth it. I’ll be listening! Great idea! Scott said, “There’s nothing new in Web 2.0. It’s just it easier, faster, and better. From your website, you can give away something of value without getting their email address in return. The viral sharing of the “item” will get you enough PR mileage without needing to get the email addy. Chick-fil-A Promo Idea – On one specific day, buy an item and keep the receipt. Then anytime during the next 30 days, return with that receipt and get same item free. Can you adapt this model to your business?